Many children dread going to the dentist. However, that wasn’t the case for Elizabeth Leal, who couldn’t get enough when she was younger and looked forward to each experience. 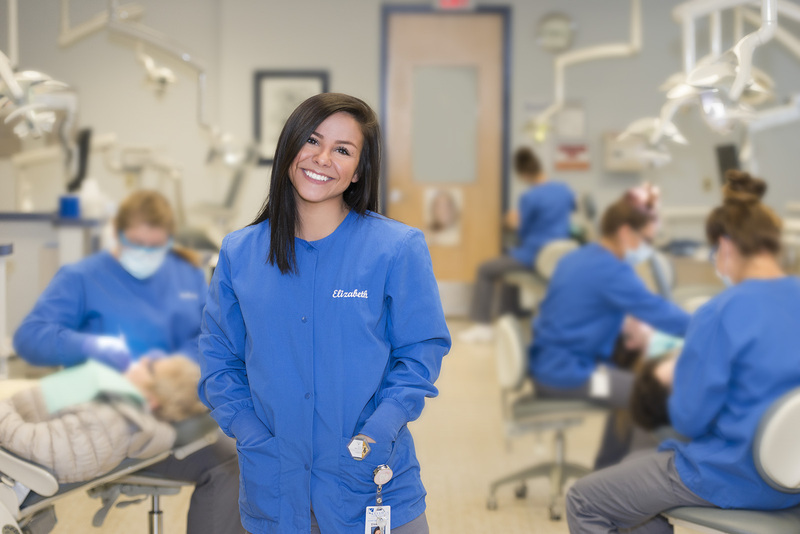 Now 25, Leal is a first-year student in Kellogg Community College’s Dental Hygiene Program, where she is using that love and passion to pursue a career in dentistry. Leal, of Coldwater, chose KCC’s program because it’s closer to her home than other programs and offers a faster-track two-year program. Initially she considered becoming a teacher, and completed her prerequisite classes at KCC’s Grahl Center campus in Coldwater before eventually deciding to join the Dental Hygiene Program. One of Leal’s biggest concerns was going away from home to a university and not being able to work, she said, which would have been an issue as she supports herself financially. Leal balances her studies as a Dental Hygiene student with work as a dentist assistant and nanny. With a hectic workload, she said she appreciates the family-like atmosphere in the Dental Hygiene Program. Leal’s options for the future are wide open. She’d love to go into pediatric dentistry and work with kids, she said, or maybe even work at a prison, as she’s had some experience job shadowing and doing dental work on inmates in the past. There’s also the possibility of continuing her education beyond the hygienist level to become a full-fledged dentist, possibly opening her own private practice. Applications for KCC’s 2018-19 Dental Hygiene Program are available now – the deadline to apply is March 1! Visit our Dental Hygiene Admissions Web page for the application and more information.